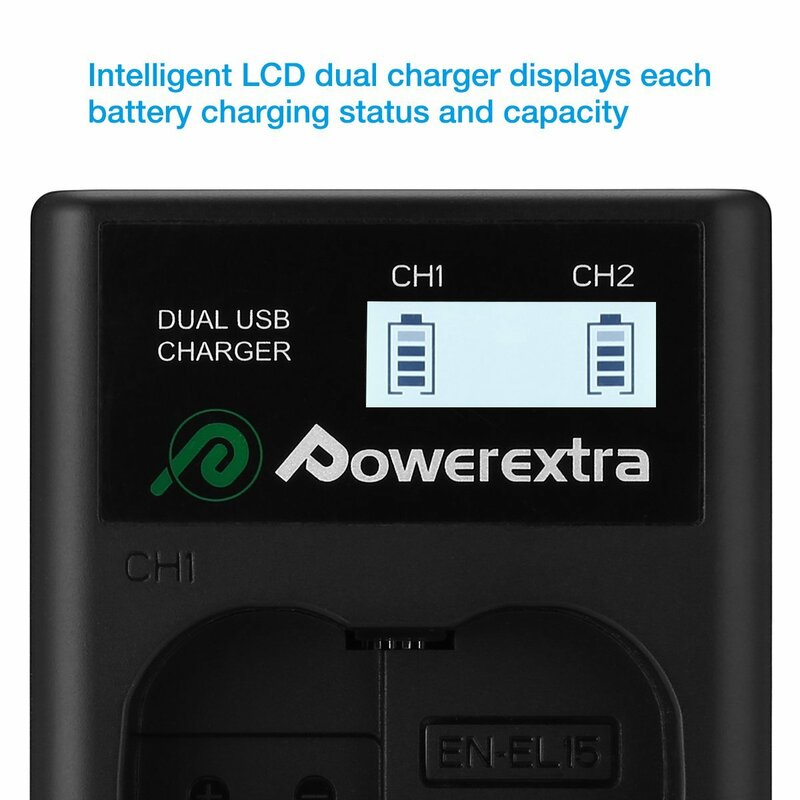 This rapid charger for Nikon can charge 2 batteries at the same time, with 8.4V/0.8A output & 5V 2A input. 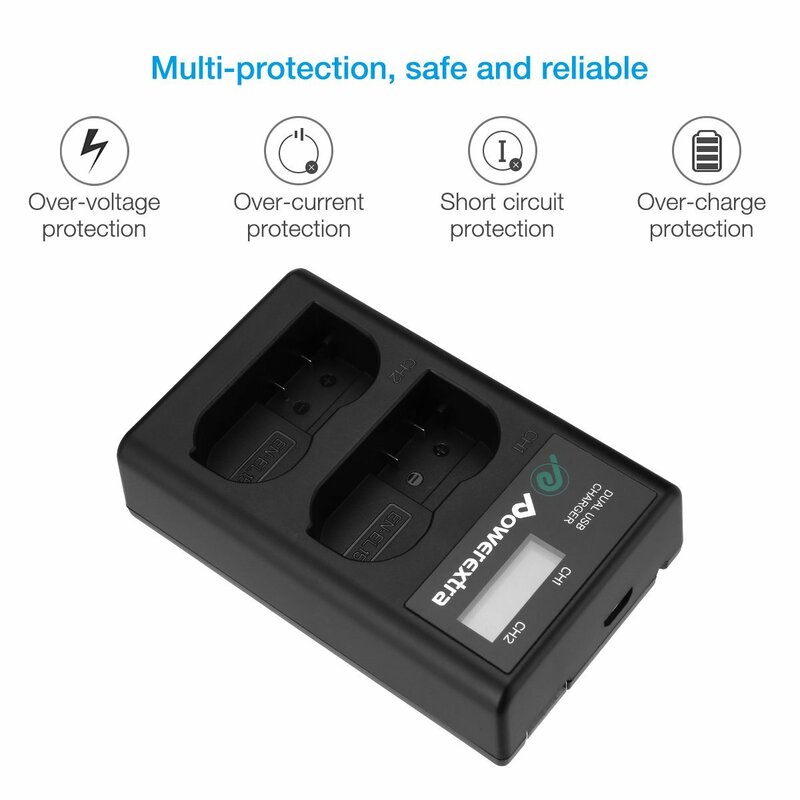 It’s designed with smart LED display to indicate the charging process to avoid overcharging. 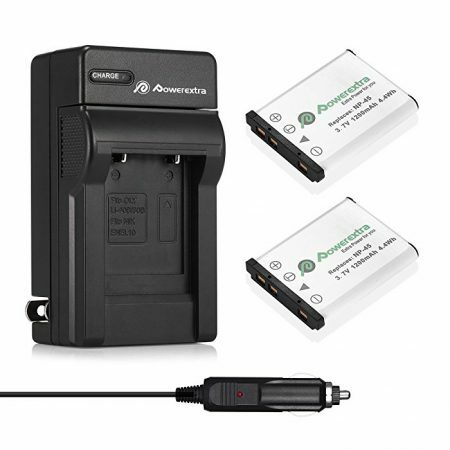 It works perfectly for Nikon EN-EL15, MH-25, MH-25a batteries with better performance than the original charger. 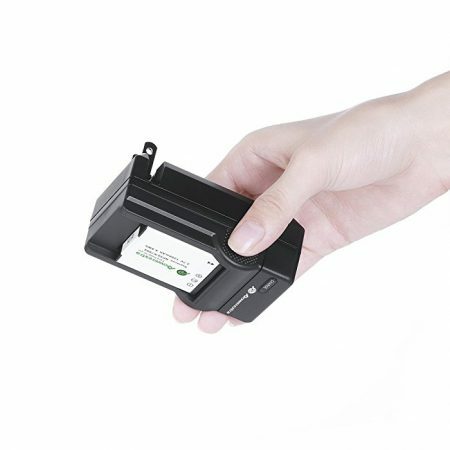 Convenient and easy to recharge your Nikon EN-EL15, MH-25, MH-25a battery with USB cable and power bank on the go. 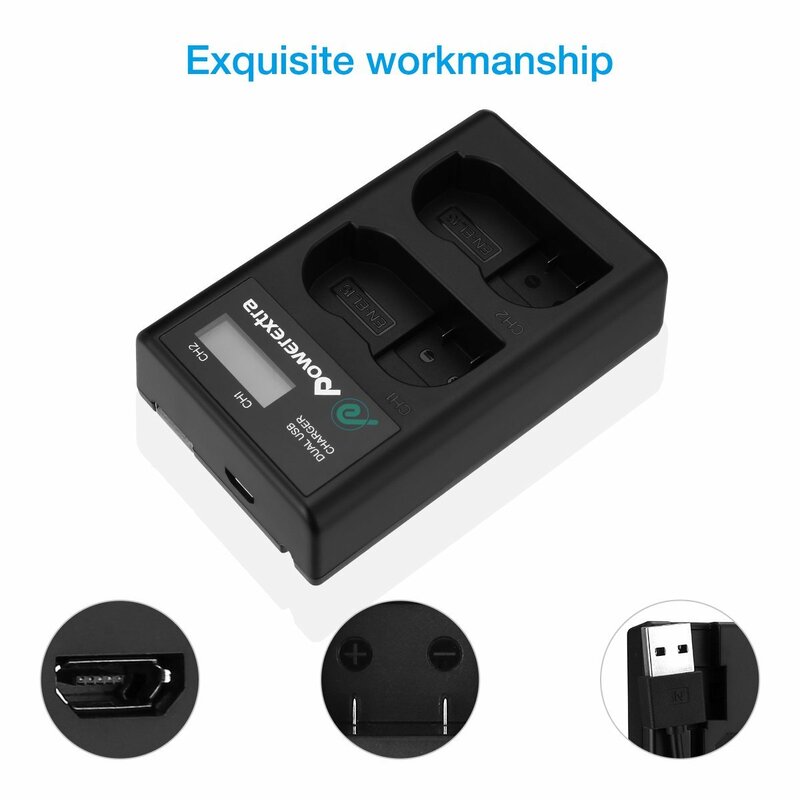 It is fully compatible with Nikon D7100, D750, D7000, D7200, D810, D610, D800, D600, D800e, D810a, 1v1 cameras. 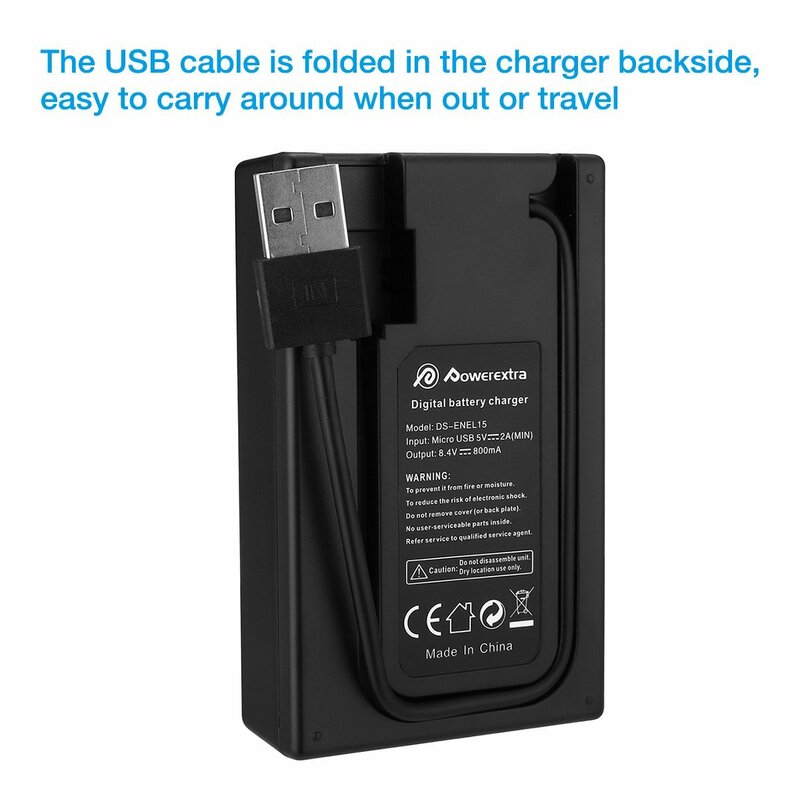 Convenient USB cable allows you to charge the charger with USB devices. 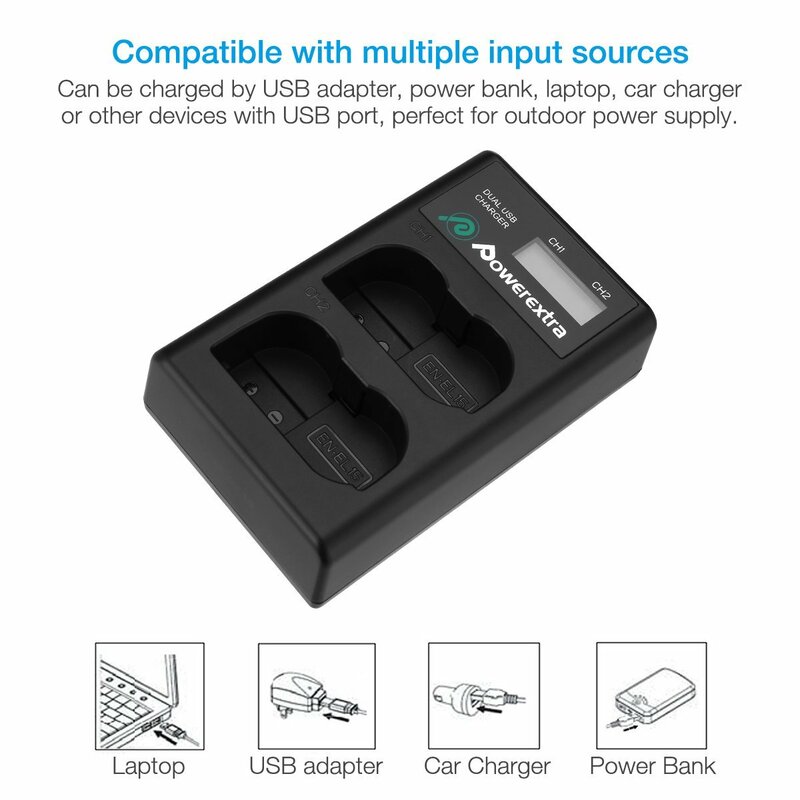 It can freely connect with your desktop, notebook or power bank. 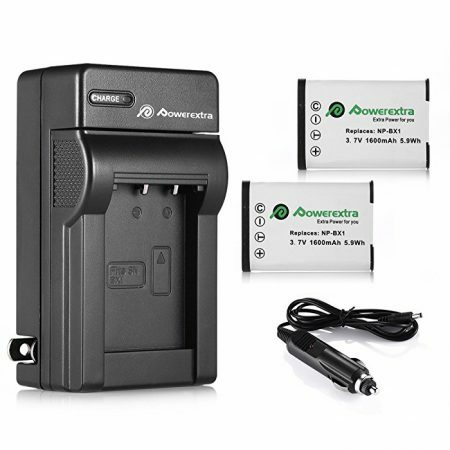 Fast shippment from California US: Powerextra offers 30 days money back, 24 hours friendly customer service. 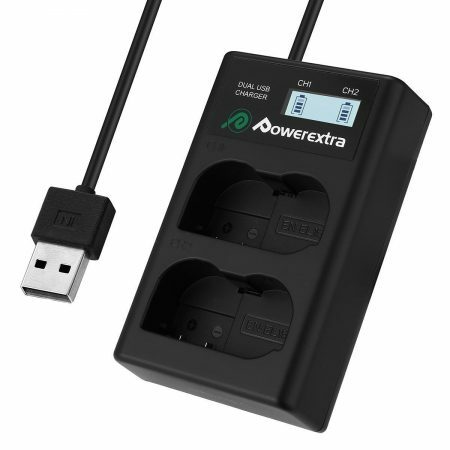 This Powerextra smart charger can charge your Nikon batteries anytime anywhere conveniently. You can have longer runtime for your Nikon camera. 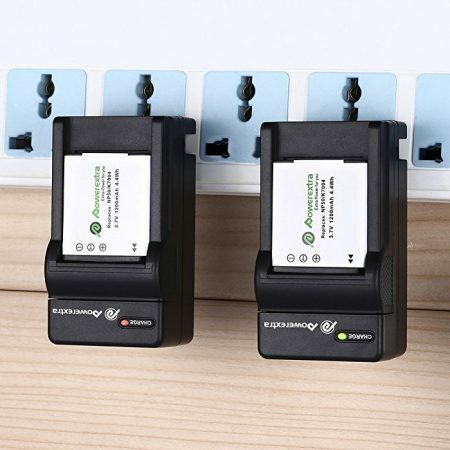 This Nikon battery charger has an integrated USB cable design which enables you to connect the charger with a USB wall charger or any external battery pack easily. 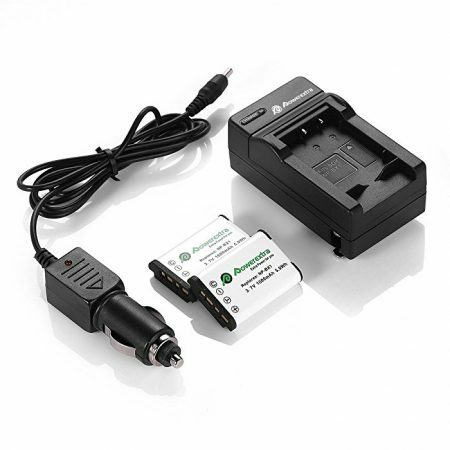 With this charger, you can enjoy more photography and video shooting with your Nikon camera. 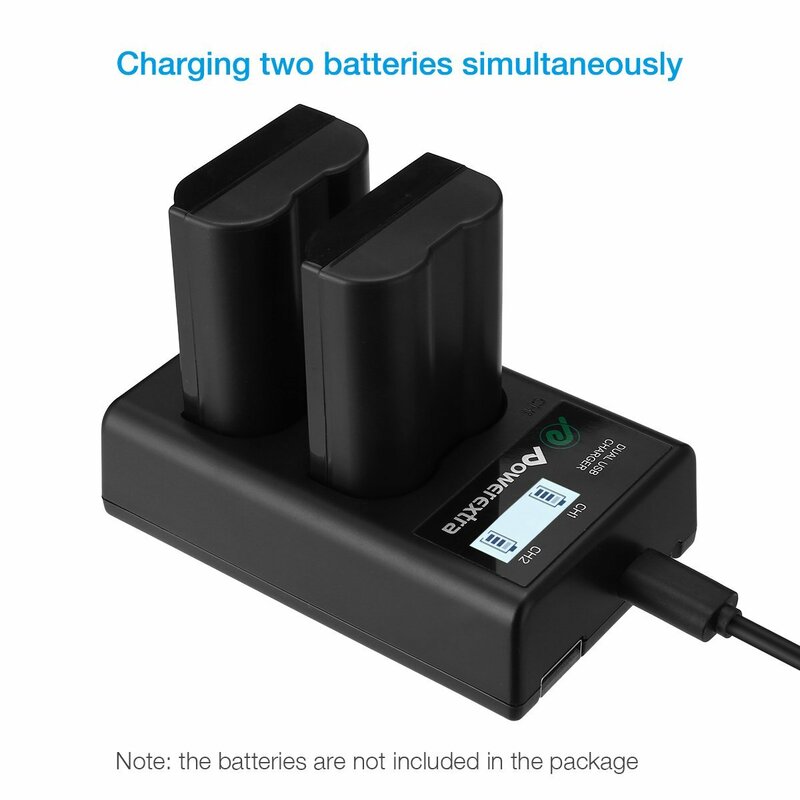 With 8.4V 0.8A output, it can charge 2 batteries at the same time. 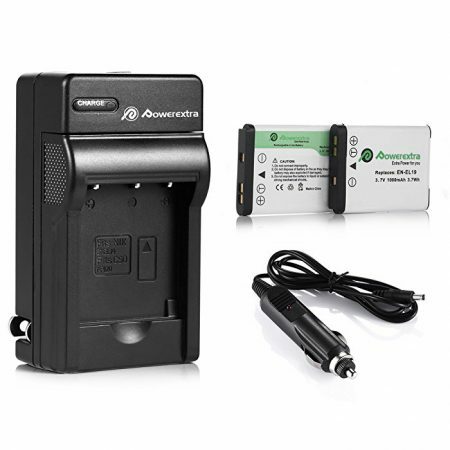 This Nikon battery smart charger is designed to work for Nikon EN-EL15, MH-25, MH-25a batteries. It’s widely compatible with Nikon D7100, D750, D7000, D7200, D810, D610, D800, D600, D800e, D810a, 1v1 cameras.